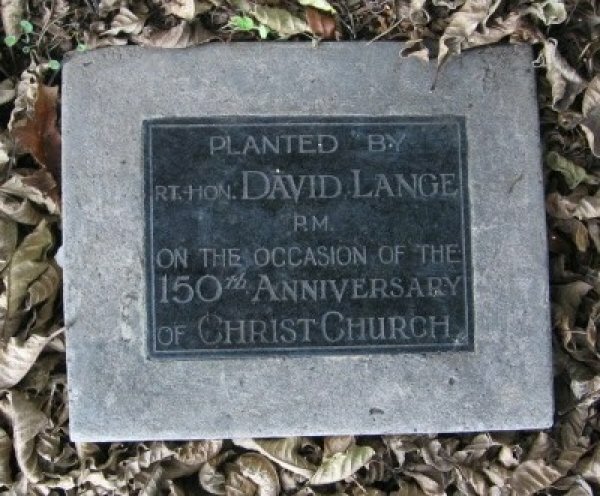 Christ Church is considered the oldest existing church in New Zealand today, and possibly the oldest building still used for its original purpose. 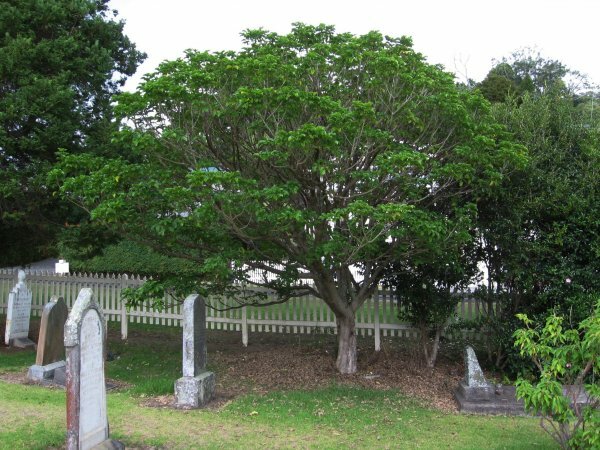 According to official records, the first service was held on the 3rd January 1836. 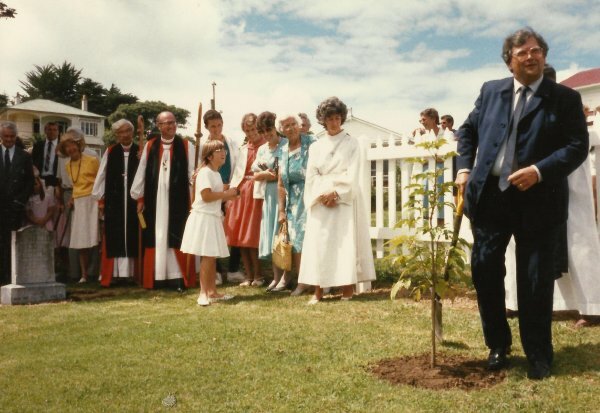 This tree was planted by the Prime Minister, the Right Honourable David Lange, to mark the church's 150th anniversary (Cadwallader 2013). 23 Mar 2010 Cadwallader, B.G.